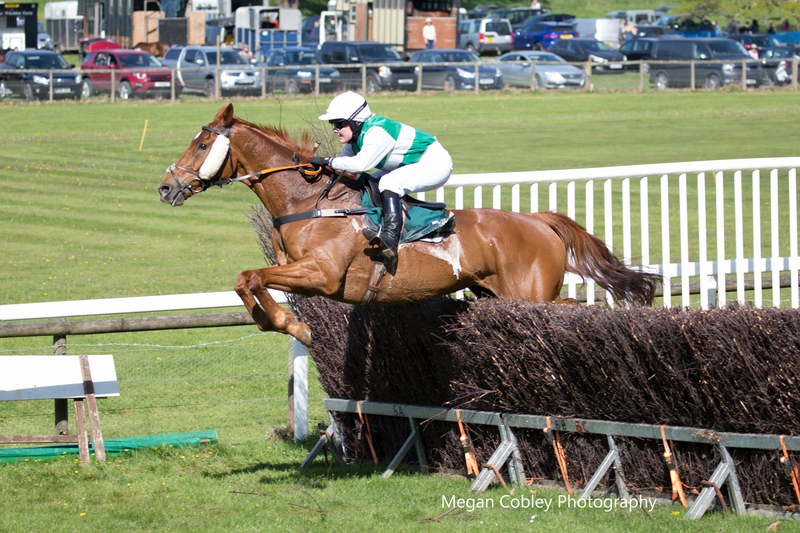 THE grand finale of this year’s British point-to-point season takes place on Saturday (June 14th) at Chapelton Barton, near Umberleigh, North Devon. The Torrington Farmers have the honour of bringing down the curtain in their traditional festive atmosphere after six and a half action packed months. A total of 93 entries have been received for the six races and the course will be agrivated as necessary to provide the best possible jumping ground. 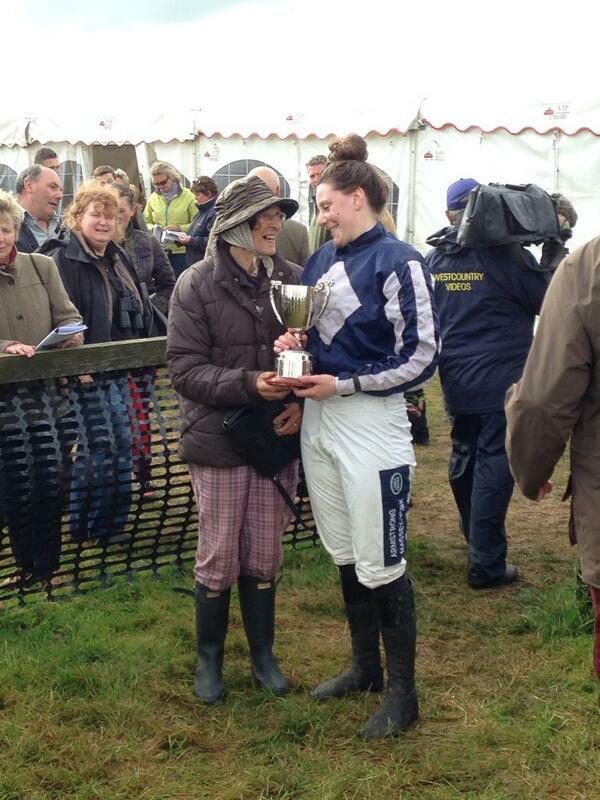 Point-to-point action starts at 2 pm with the Confined race sponsored by Devonshire Motors of Barnstaple. An innovation this year is that £100 (sponsored by the Profitable Farming Company) has been offered to encourage more runners in this event. Punters might also need some encouragement in this trappy looking opening contest. 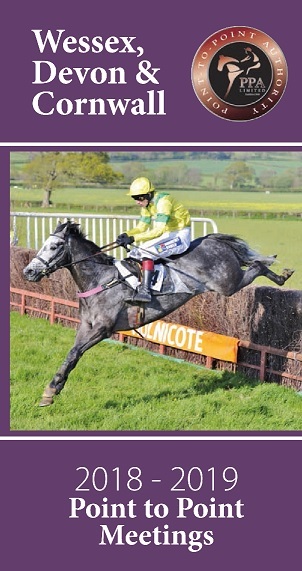 Right Enough followed up his Flete Park double with two sound efforts at Bratton Down. Nicto De Beauchene now escapes a penalty and could go close if regaining the form of his hunter chase success at Taunton last year. It might be worth taking a chance with the locally trained Meilyr, who has run quite well in his hunter chase efforts this year and may appreciate these easier fences. The neck and neck battle for the National Ladies’ Championship will be decided on the day with defending title holder Jacqueline Coward likely to bring a strong team from Yorkshire. Bridget Andrews enters the final day just one winner ahead of Jacqueline (25 to 24) in a quest to emulate her sister Gina, who won the title three years ago from their Hertfordshire base. Their first clash of the day could come in the Restricted, sponsored by Kivells. The Yorkshire challenge could be spearheaded by Apassionforfashion, an improving mare who went down narrowly at Bratton Down last Sunday. The Ketchup Kid also figures amongst the 16 entries and scored earlier in the season for Jacqueline Coward at Brocklesby Park. Hill Forts Gloria and Ashton Magic are possible mounts for Bridget Andrews, but leading owner David Brace could hold the key to this race with the Welsh challenger Nurse Brace. Her recent form looks solid and she should appreciate this course. Apassionforfashion and The Ketchup Kid pop up again amongst the 10 nominations for the Intermediate which is sponsored by Claire Howarth, The Barum Stud. This time Bridget Andrews could hold the aces with the Essex gelding Excitable Island, whose easy wins at Parham and Northaw came with her in the saddle. Mark Wall’s mount Rainbow Trout continued her upward curve by beating The Ketchup Kid at Chaddesley, and The Alan Hill trained Viel Gluck could be a danger on his best form. Spendajennie would be the choice if turning out for the Smallridge Bos Ltd Open Maiden which brings down the curtain on the 2014 season. (26 entries). This young mare is improving steadily and ran well behind the useful Whataknight at Bratton. The chief danger could be Wivannie, the mount of Bryony Frost, whose name is on the area ladies’ title for the second successive year. 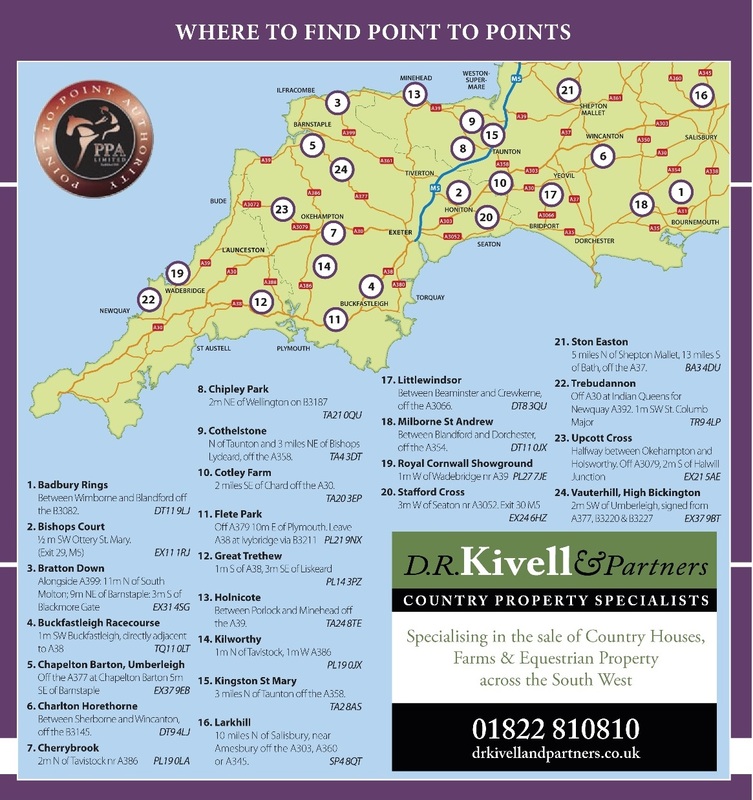 Following the concluding point-to-point race at 5.20pm are the Devon & Cornwall Area Finals for ponies under 138cm and under 148cm. These races are sponsored by Hatchmoor Veterinary Practice. Pony racing has already revealed dozens of future professional jockeys and spotting them is all part of the fun. This is not quite all because the announcements of the local and National champions take place after racing – usually under a shower of champagne. This meeting always presents a real party farewell to the season. For those without picnics, quality hot and cold refreshments are available on course, together with a licenced bar and trade stands. Entrance costs £10 for pedestrians; £10 for a car and driver; £20 for a car, driver and one passenger, and £30 above that. The post code is EX37 9EB, and the course is located 5 miles south east of Barnstaple, just off the A377.